Besides just building the railings for your existing stairs…We can custom design and build the entire staircase, along with the railing already incorporate into the design. 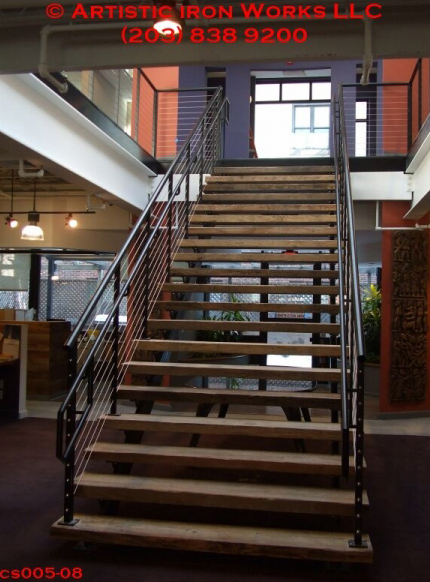 Create a more open space, and staircase that will last forever without any creaking ever. The steel structure is absolutely solid, with any type of tread you can imagine. 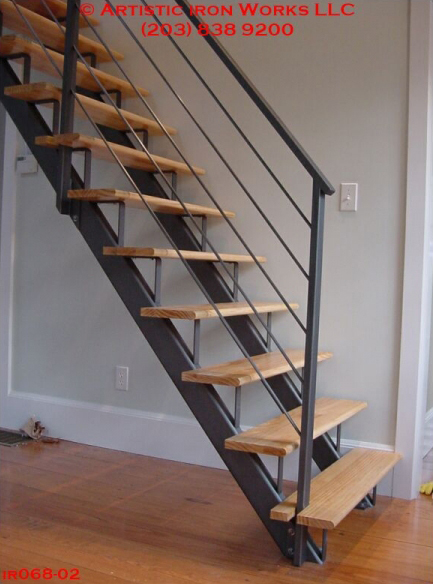 We have build stairs for metal, wood, and even glass treads.